Who is making Bordeaux's best and worst wines? What has a specific chateau's track record been over the last 40 years? Which chateaux are overrated or underrated? 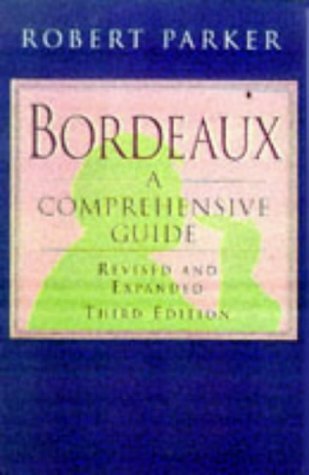 These are the questions Robert Parker answers fully in the new edition of his comprehensive and authoritative guide to the wines of Bordeaux. His vintage-by-vintage reports demonstrate thoroughness and discernment and he has set uncompromising standards in assessing each vintage from 1961 to 1997 for every major chateau. Each vintage is described in detail for taste, colour, quality and anticipated maturity, so you can see at a glance which wines are ready to drink now and when to enjoy those that are still maturing. For each chateau, Parker also provides details of how vineyards are planted, yields, annual production and style of vinification. He takes you through each of the famous Bordeaux regions and gives the official 1855 classifications, the crus classes and crus bourgeois, for each chateau along with his own appraisal of each one. Many chateaux long regarded as producing high-quality wines receive surprisingly low evaluations and Parker argues that many little-known chateaux ought to be upgraded on the evidence of the wines they have produced in the last 40 years. His assessment of the value of Bordeaux's top wines, including second labels of major chateaux as well as hundreds of under-publicized estates, make this a useful book for the wine buyer.